Are You Excited For Erdem x H&M? 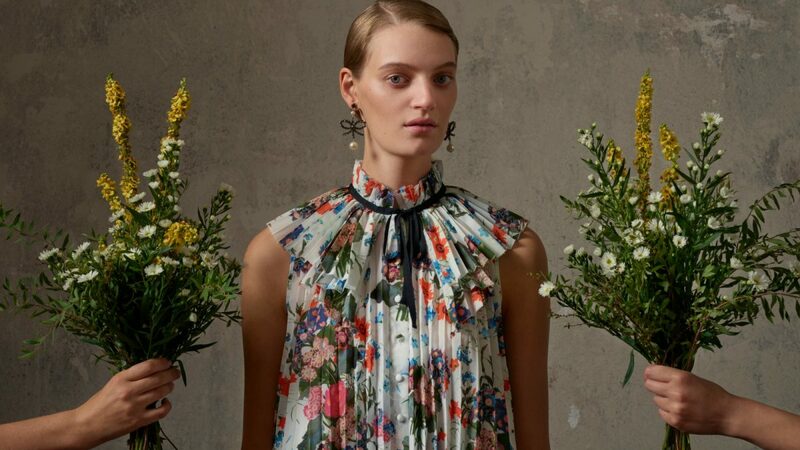 Just when I thought the high street couldn’t do another great designer collaboration, Erdem x H&M is announced, yep the Swedish giant is teaming up with Erdem, one of the most beautiful designer labels out there. 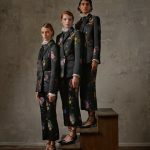 There is nothing Erdem Moralioğlu can’t do to make a floral print look gorgeous, his pieces are alway so spectacular, and especially beautiful for autumn/winter with his moody dark florals. 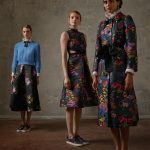 The collection created for H&M sees Erdem reflecting and reinterpreting design themes from some of his most celebrated collections, while “playing with prints, textiles and delicate craftsmanship that have made his name,” said the retailer. The line will also include Erdem’s first ever collection for men, think chic tailoring and gorgeous knits. There are so many gorgeous pieces, from the most striking dark floral print suit, which comes in at under £200, there are also some dainty pointy toe floral embellished shoes for £139.99, and the most exquist full circle skirt for less than £120 that I so need in my life. 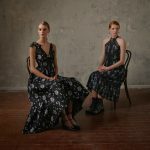 When I think of Erdem, I think of his gorgeous dresses, don’t worry there are a lot of dresses on offer from slip-style floral dresses to pleated beauties and a lovely long-sleeve style. There are also a few unexpected items like a floral hoodie that will mean I’ll feel chic binge watching TV box sets, a pair of floral painted leather boots, and retro-style knitwear that will see you through winter. The collection is extensive, a bit pricer than normal H&M, but trust me that won’t stop it being a sell-out. 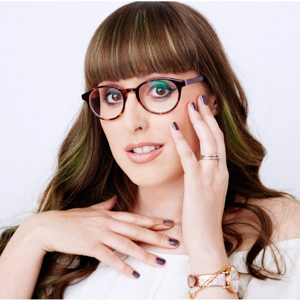 So to help you prepare for the mad dash here is my guide to what pieces I’d buy under £50, under £100, from £100-150 and under £250. Have £50 what shall I buy from Erdem x H&M? Pieces under £50 you are generally looking at the accessories, you can pick up a pair of sparkly earrings for £29.99, or a gorgeous silk scarf for £24.99, a pair of floral tights for £17.99, or how about some socks for £24.99. But my top pick would be to go for one of the two floral T-shirts that retail for £24.99 each. You are lucky, you can pick up one of the many gorgeous Erdem x H&M dresses or blouses, which are some of the highlights of the collection. 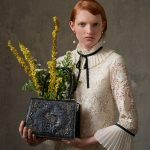 You can get a white lace blouse for £79.99 complete with pie-crust collar or a dark floral lace blouse for £99.99 that is signature Erdem. Want a dress there are three under £100, the first is a cute long-sleeve dark floral beauty for £79.99, the second is a halterneck midi for £99.99 and the final style is a gorgeous tiered pleated beauty, all are gorgeous and are expected to sell out quickly. You have the cherry pick of all the key pieces in this price bracket, from divine outerwear including the cosiest looking leopard print coat and the chic oversized checked coat, both for £149.99. For dresses there are a few at the £119.99 mark including this bright floral number, as well as few at £149.99 including the black lace midi dress that’s been everywhere. My top pick would be the floral blazer or the black floral full skirt, both are £119.99 and are timeless pieces for any wardrobe, or the leather boots with florals on for £139.99. OK, been saving and have £250 to spend? Well, you can basically have your pick of all the items mentioned above, or you could splash it all on the gorgeous, very ladylike leather crystal encrusted handbag for £199.99, which has an element of the Queen about it doesn’t it. I love it and considering you’d be getting a designer bag it is a great price. There is one more piece left, the highest priced item a floral and lace maxi dress for £229.99, which is so gorgeous I really want, but is it that much better than the others, I just don’t know. So, where can you buy Erdem x H&M? Well not in many stores, You’ll be able to buy the collection in the following stores: Oxford Circus, Oxford Street East, High Street Kensington, Regent Street, Westfield White City, and Westfield Stratford in London, as well as at Manchester Market Street, and Glasgow. In Ireland at College Green, Dublin. It will also launch online from 9am, November 2, but be aware the website will be very busy. What Erdem x H&M pieces have you got on your wishlist?